I assumed I’m one of the lucky people who have no food allergy. Therefore, I can enjoy everything I ate without any consequences. I’m very grateful, as I like to munch different kinds of food. I’m also gratified that both my husband and my son are not suffering from any food allergy. I have known few mothers were their kids have an allergic reaction to peanuts and other dairy products. They may wish to give their kids the glorious peanut butter but couldn’t because it is dangerous. However, mothers should not worry to give their kids a taste of peanut butter now. As WowButter is, a devoted company that creates the famous wowbutter spread so other kids who have allergies to real peanuts would enjoy the taste of peanut butter spread without harming them. I am glad to be part of the company’s campaign to spread the good news. I received the package in the mail through UPS shipment. I get at least 6 packs of Gluten Free – 17.6 Oz of WowButter items. I was so excited to experience the product with my son. Very impressive, the quality of the flavor of Wowbutter is great; the product does taste just like a real peanut butter. Although, I have noticed a slight difference of the flavor, nevertheless the aroma is identical. Very creamy, which I like Wowbutter more. The Wowbutter contains toasted soy, non-GM ingredients, and manufactured in Canada. It has no added colors, flavors, or preservatives. It is made of a 100% peanut free and nut free, gluten free, dairy and egg free facility. 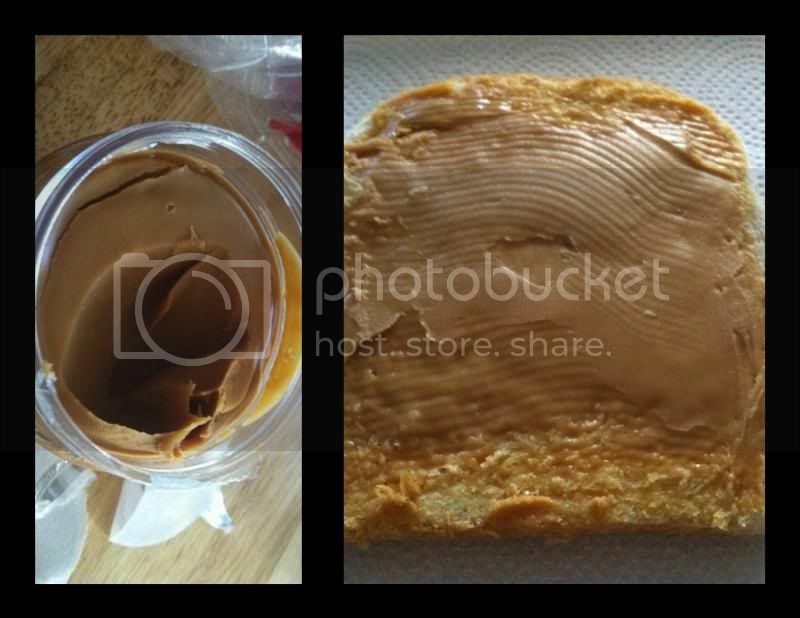 Therefore, you and your kid will enjoy the glorious taste of a peanut butter. INGREDIENTS are NON-GM Canadian toasted soy, NON-GM soy oil, granulated cane sugar, Monoglyceride (from palm oil), and sea salt. HEALTH BENEFITS: 7G soy protein, 1200 MG Omega-3, 4G fiber, 0G Trans fats, a low glycemic response and natural ingredients. In addition, for best results, you must refrigerate the can after open. 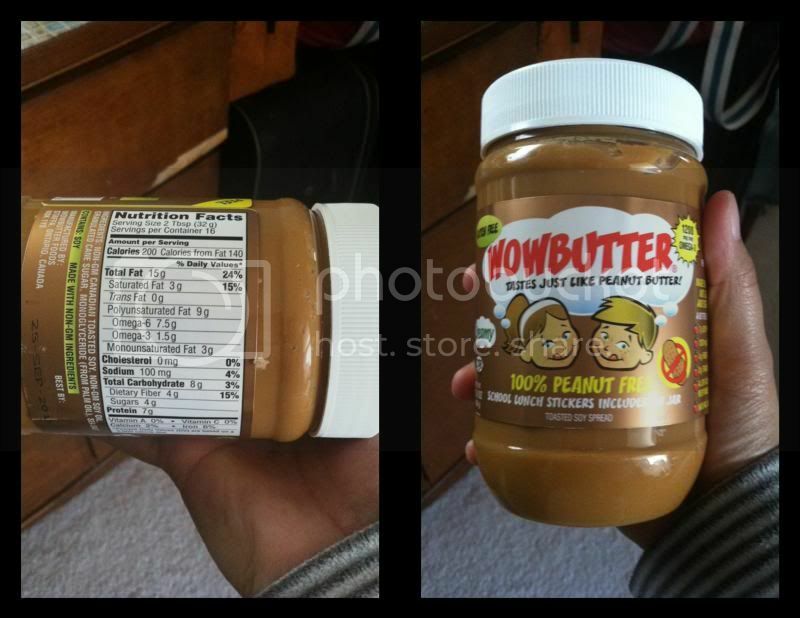 It is easily identified with the cartoon of a little boy and girl and the WOWBUTTER Tastes Just Like Peanut Butter. Cloud on the jar. With a taste, texture a nutrition that consumers know and love, it is fast becoming a new food staple for many families Dairy Free, Gluten Free, Vegan, Wheat Free, Kosher. You can always visit the website and learn more about WowButter @ http://wowbutter.com/. On the other hand, you can purchase it also @ Amazon with a retail price of $27.00. Please follow them on their Facebook Page too: https://www.facebook.com/pages/WOWBUTTERcom/137834539596229. A disclaimer: This is not a sponsored post. I received 6 PACK OF WOWBUTTER for free in exchange of my honesty review. The outlook I expressed is 100% exclusively mine. I would absolutely love to try this, you had me at soy and non gm! Looks nutty and creamy! I'd love to use that in an apple. great for everyone to be enjoying safely. I think my husband will enjoy that. He loves peanut butter. I love peanut butter. I am the only who does in our household. oh! I have allergy with peanuts and other kinds of nuts but I'm ok with peanut butter! :D Thank goodness! lol, looks good! Looks so yummy, my daughter would like to have one of that. I'd love to try that but my son is allergic to peanut. I am a sucker for peanut butter and this one seems too good for me not to pass on. I feel bad for the people who have peanut allergies, or any allergies for that matter. I cannot imagine living a life not tasting everything. It's a good thing that companies have created innovative products like this, allowing people to taste food that they are allergic too without the fear of getting a bad reaction to it. Interesting! My first time to see this. I bet many loves it. Like you, we can pretty much enjoy food too because gladly we don't have any food allergy. I bet it tastes so good! I love peanut butter and ate it almost everyday of my life, until 2 years ago. Now I am allergic. I discovered WOWbutter one day while browsing in my local grocer. I tried it and it DOES taste just like peanut butter. I have used it in recipes and it is great! It's great that people allergic to eanuts can now enjoy the great flavor of peanut butter.